London Fashion Week is almost over and my feet are thankful. Once things are over, it's time to start shopping. Inspired by the street style and with the approaching Spring/Summer 17 season and the hay-fever it brings with it, our wardrobes start to change. As I want to lie in my bed for at least a week before attempting to walk again, I discovered a way to do this efficiently. This is where 'Tinder for Fashion' comes in. Don't worry you won't end up on a date with a pair of jeans. Online shopping is the best thing since slice bread but it still can be a hassling job as you try and compare items between one site to another. What if I told you there is a solution to this? One word, Mallzee. 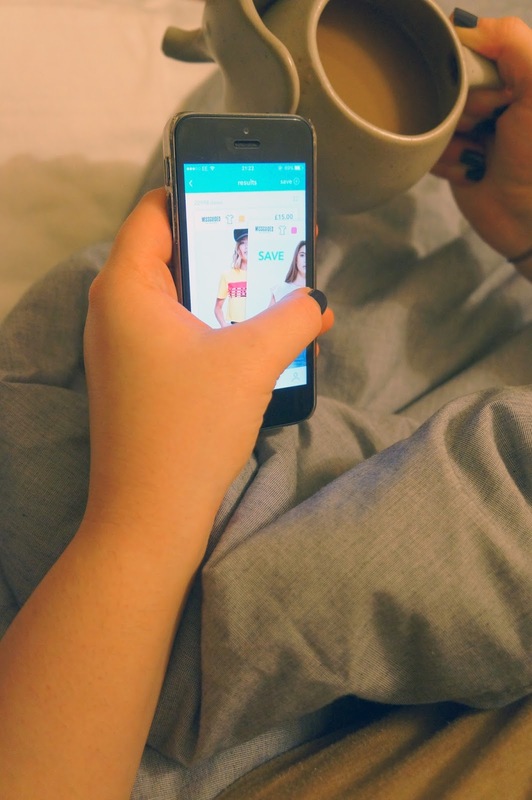 Mallzee is an app with over 150 brands, from H&M, Zara and Pull & Bear to Whistles, Kurt Geiger and DKNY. Basically all the high street & high end favourites. Let's say you are looking for a black top you just type in your search, include any filters such as price range, brands etc., and you get all the black tops from all the different brands. Then you simply swipe left of swipe right depending on whether you don't like or like the item, just like tinder. If you swipe right then it goes straight into your 'saved list' which you can view at any point before you decide what purchases you are going to make. Genius! 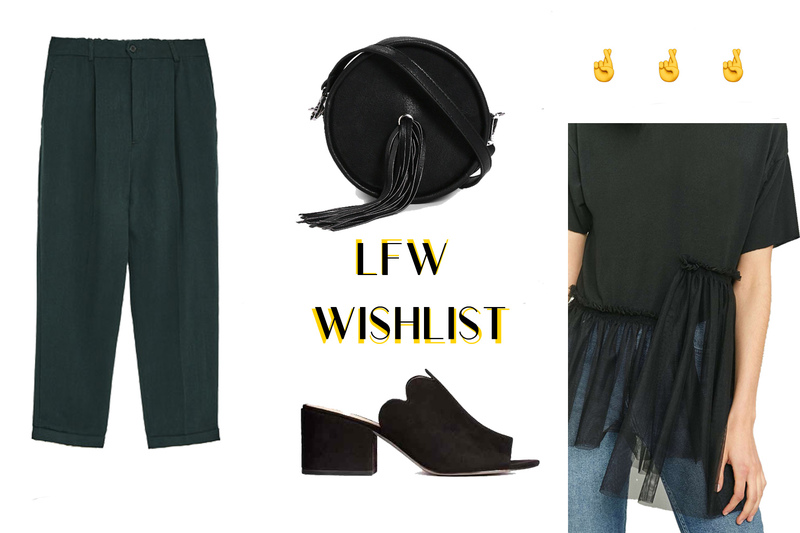 Of course, I'm obsessed so I created my London Fashion Week Wishlist. This outfit is a total of £100 and it's all that LFW has inspired in me. I have been loving monochrome and structure in pieces for a while now. As from this week I also want to start experimenting more with different fabrics and materials. All is encompassed in the outfit you see, all of which are sitting in my saves list waiting for me to press that button. Like this?? I've got a threat for you! If you download the app and use the following code 'RebeccaVM' when making your purchase YOU GET £5 OFF! Then share the app with friends and family and give them your unique code and everytime someone uses it you get a £5 credit to spend in the app. What are you waiting for? Get the app now, share and start building your free credit.